Is this tax reform, or a tax cut? Tax reform” in Washington-speak refers to cutting tax rates and paying for the rate cuts by eliminating or curtailing loopholes and deductions to broaden the tax base — to increase the amount of income the tax rates apply to. The canonical example is the 1986 tax reform, which is broadly beloved because it was bipartisan, it involved Ronald Reagan, it reduced the deficit, and there’s a great book about it. 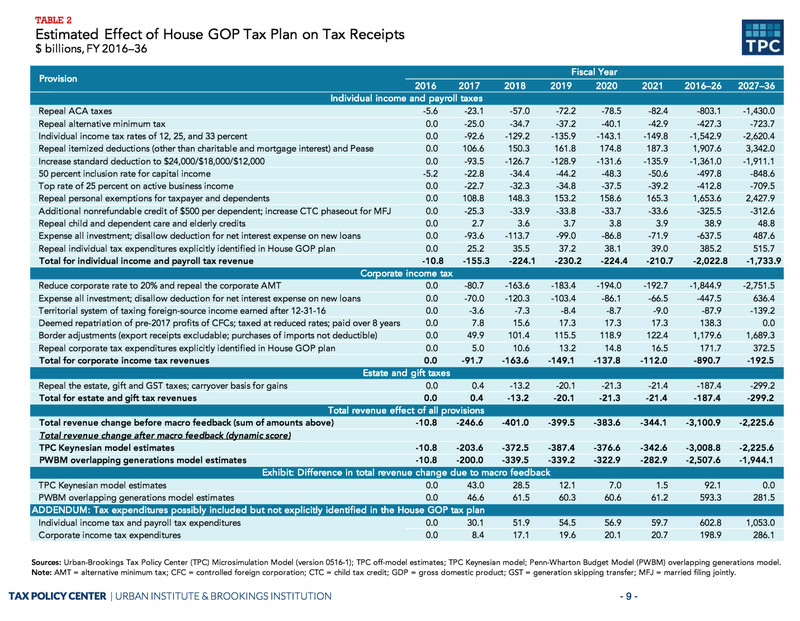 Doing a true revenue-neutral tax reform and doing a giant tax cut that you call tax reform have very different implications, economically and politically. One big downside to a revenue-neutral approach is that you end up needing to raise taxes on some people or companies. On the other hand, you can’t use budget reconciliation and pass a Senate bill with just 51 votes if the legislation you’re pushing increases the budget deficit 10 or more years into the future. That means you need 60 votes in the Senate for tax cuts that are truly permanent. George W. Bush got his tax cuts done by scheduling them to expire after 10 years, which made it relatively easy for the Obama administration to partially undo them. How are they going to limit individual tax breaks? The Ryan-Brady tax reform blueprint would preserve the two biggest and most popular itemized deductions — those for mortgage interest and charitable donations — but eliminate all others, as well as a few credits. The biggest deal here is the deductions for state income, sales, and real estate taxes, which together provided $80.4 billion in tax relief in fiscal year 2014. That's more than the mortgage interest deduction. The mortgage deduction is widely viewed as politically untouchable, because its affluent-but-not-super-wealthy beneficiaries will cry bloody murder if it’s threatened. 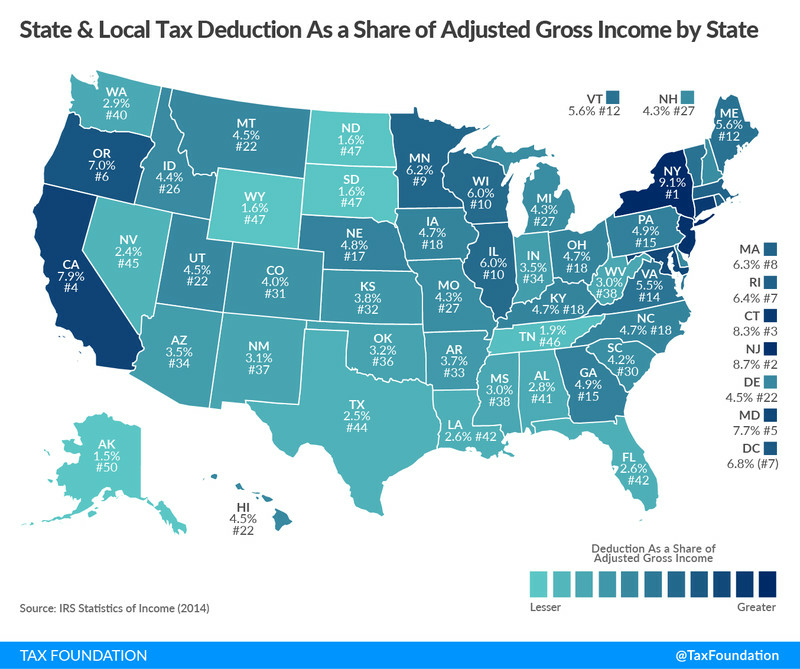 But that same group stands to lose a lot if the state tax deductions go. Particularly threatened are affluent people in high-tax liberal states such as New York, New Jersey, and California. Normally that wouldn’t be as much of a problem for Republicans, who don’t stand a chance of winning statewide races in those states, but Donald Trump knows an awful lot of rich people in that area and may be sensitive to their concerns. Lower rates will offset this tax hike for many, but some will still lose out in aggregate. This could also be a problem for House Republicans who hold seats in upscale suburban districts in high-tax blue states. The deduction reforms bring in $1.9 trillion over the first 10 years, according to the Tax Policy Center. The math of the GOP plan doesn't even begin to work without them present. But including them could set up a big backlash.